If you needed another reason to be worried about this generation of Americans, looks like it’s finally here. 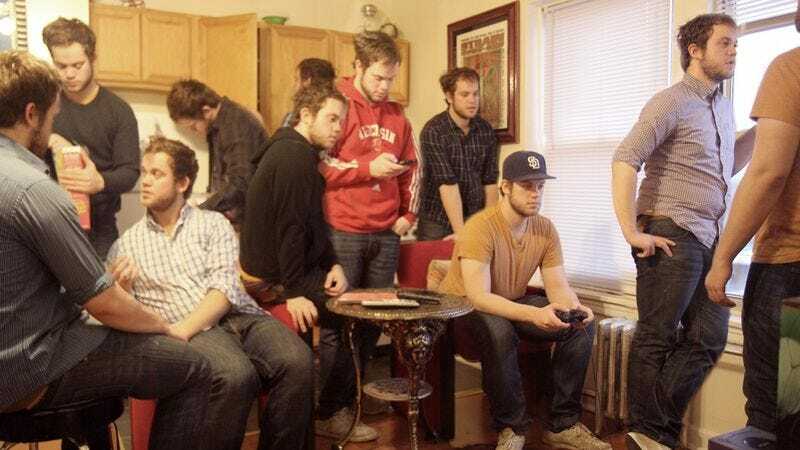 According to a study released by Cornell University this week, the average person’s friend group now consists of 30 identical clones of themselves. Sure, we brag about living in an increasingly globalized world with an unprecedented level of interconnectivity, but it seems like most people still find it uncomfortable to talk to anyone who doesn’t share 100 percent of their DNA. Apparently, over 75 percent of Americans say their closest friends are 25 to 40 identical genetic replicas of themselves. Why risk branching out into other gene pools when it’s so much easier just to be around 30 people who were grown from a cheek swab to look and act exactly like you do? While it may seem harmless when you’re younger to spend time playing baseball, watching movies, and having parties with a horde of indistinguishable duplicates of yourself, science tells us this common social practice becomes more damaging as you get older. The fact is, by spending all of your weekends with people who were implanted with all your opinions while the cloning process took place, you limit yourself from encountering diverse perspectives. You and your army of clones, for instance, might feel differently about certain issues from someone who doesn’t contain a perfect copy of your neural pathways. If we’re only talking to 30 people who have all been programmed to think that they grew up in the same place, had the same level of education, and are all in the same earning bracket, we’ll continue to suffer from the same tunnel vision we’ve always had. But apparently, this is something today’s generation of Americans couldn’t possibly care less about. Typical!